Car accidents can cause several life-threatening injuries and flail chest is one of them. A flail chest is a severe injury that occurs when a section of the rib cage gets detached from the rest of the chest wall. When this happens, the ability of the lungs to expand when breathing reduces and makes it very painful and difficult to breathe. A flail chest is also known as a broken rib cage. Those who suffer a broken rib cage can also suffer from bruising of the lungs or pulmonary contusions. Any organ that lies behind the rib cage is also at risk of injury and due to the fact that lungs are the largest organ behind the rib cage, they get bruised and battered after a broken rib cage. When this occurs, it can also severely affect the blood oxygenation levels in the body. Chest wall injuries are a common occurrence following blunt trauma. The most common cause of a broken rib cage injury is a motor vehicle crash. In fact, 74 percent of all cases of the broken rib cage are caused by motor vehicle collisions. The injury normally occurs when the chest hits a hard surface such as the steering wheel, or dashboard. Though not common, it can also be caused by seatbelt and airbags. Broken rib cage injuries can vary in severity and may range from minor bruising, tenderness, and swelling in isolated rib fractures to severe chest injuries that can lead to a pulmonary contusion, which causes painful breathing and other respiratory problems. The diagnosis involves a clinical exam by the doctors, followed by X-rays or CT scans for confirming the diagnosis. Treatment for frail chest depends on the severity of the injury. While minor breaks and cracks are treated with limited activity and rest, surgery is usually the best treatment for severe injuries when the bones have broken and moved from their place. The procedure involves wiring the bones and screwing them together. Did you suffer flail chest following a car accident? 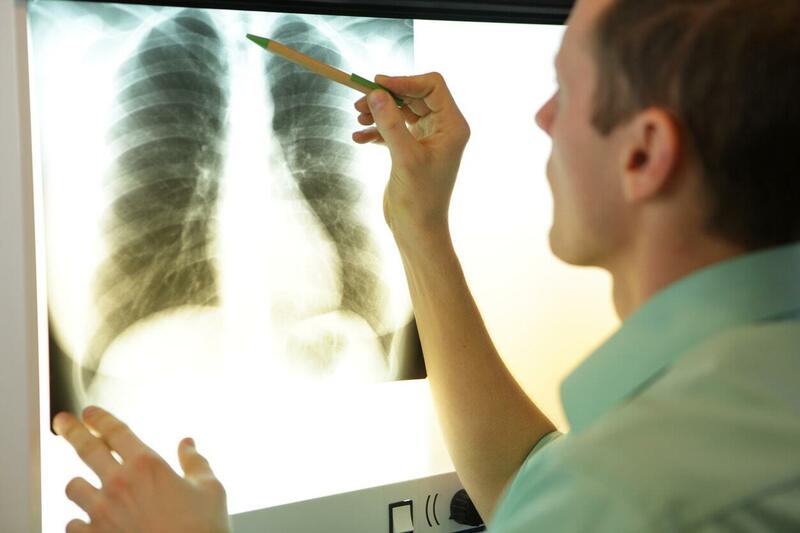 If you have been in a car accident, and you are experiencing chest pain and shortness of breath, you may have suffered a chest injury such as a broken rib cage or flail chest. If the accident is a result of another person’s negligence, you may be able to pursue compensation for medical bills, permanent injury or disability, pain and suffering, cost of physical therapy and rehabilitation, wage loss, and other losses. It’s in your best interest to seek legal help from an experienced St. Louis auto accident attorney, who can help you pursue the claim successfully.